Environ Original Night Cream Reviews: Does It Work As Promised? Environ Original Night Cream Review: Is This Night Cream Best For You? 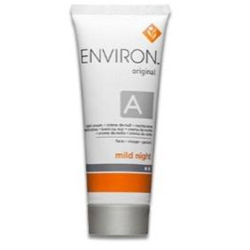 Environ Original Ultra Night Moisturizer is a highly concentrated moisturizer packed with vitamins to soothe damage caused to the skin from everyday activities and exposure to the elements. The product is sold in over 70 countries by salespeople, and must be ordered through someone who sells the product. Return policies money-back guarantees are not mentioned on the product’s official website, but contact information is available for the company. Vitamin A: Reverses sun damage. Encourages the shedding of dead skin cells and regeneration of new ones. 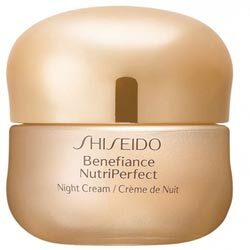 Best if used at night as consistent cell turnover makes skin more sensitive to the sun. Products containing this vitamin should be used within months of purchase. Vitamin C: Antioxidant that protects skin from pollution and sun damage. Stimulates the skin’s healing response, encourages regeneration of skin cell growth. Removes dead skin cells and increases the potency of sunscreens. Diminishes the appearance of scars caused by acne and encourages production of elastin and collagen to promote firmer skin. Vitamin E: Contains antioxidants that protect skin from damage caused by free radicals. Used to protect skin from effects of medical therapies that cause cellular damage, such as chemotherapy. Anti-inflammatory, enhances SPF capabilities of sunscreens, and moisturizes the skin. 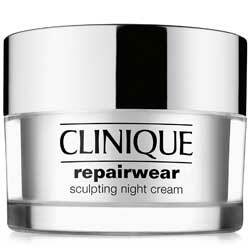 Use Environ Original Rich or Classic Night Moisturizer and ensure skin is comfortable with this. Original Ultra can be used afterward on face, neck, and décolleté in the evening. Available in 70 countries through salespersons that can explain the product’s use and properties. Environ Original Ultra Night Moisturizer contains key ingredients known for the skin benefits. Can be used in conjunction with other products in its line. Must be purchased through a salesperson, which adds extra steps to the purchase process. Return, exchange or money-back guarantees are not mentioned explicitly on the product’s website. All ingredients used in the cream aren’t listed online, nor is other key information, such as the size of the container the customer should expect, or price information. Even though the company is well-respected, the data mentioned in the product’s website discusses their entire range, and does not explain how this specific product improves the skin’s condition. Environ Original Ultra Night Moisturizer contains many vitamins known to enhance the skin’s health and appearance. The product is sold through authorized salespersons in 70 countries. The company explains their scientific studies so consumers can better understand their product’s vetting process. 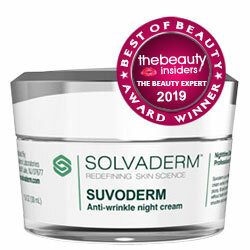 This cream is part of a step-up system in which customers use products that allow their skin to better withstand higher concentrations of other vitamins. This means consumers must first invest in these products before starting to use this one. Customers must buy the product from a salesperson, and this adds extra steps since they cannot order Environs products online. Though a salesperson may have all pertinent ingredient information, most skin care brands make their products available online or at retailers. Customers may prefer buying from a more direct source.